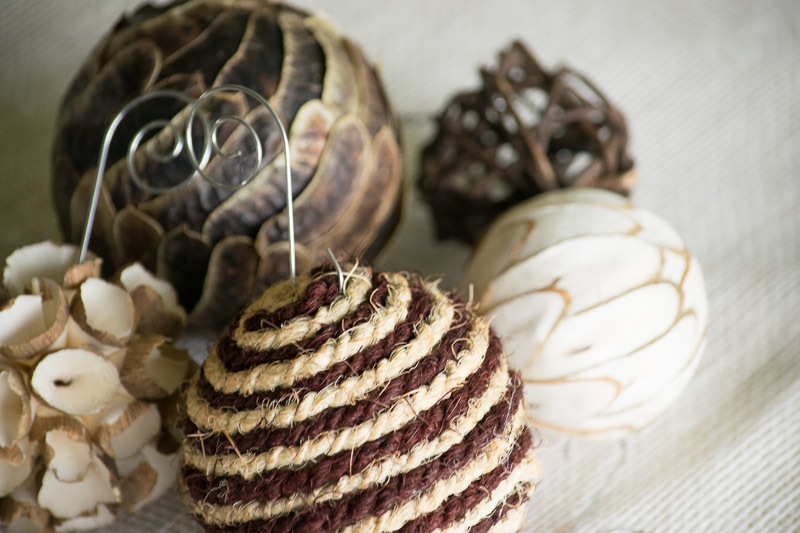 I know we have all seen the many DIY ball ornaments made from twine and a balloon on pinterest. I pinned the hell out of those because – its a good idea! Realistically though – I do not have time to wrap and glue twine around a balloon. TO ME – my time is my money and family time. Get what I am saying? I wont lie, I kind of cringe at the thought of even calling this DIY. While browsing the craft area at my local Wal-Mart, I came across these decorative accent balls. You know, the ones that you are supposed to put in an even more decorative bowl and set on your coffee table. 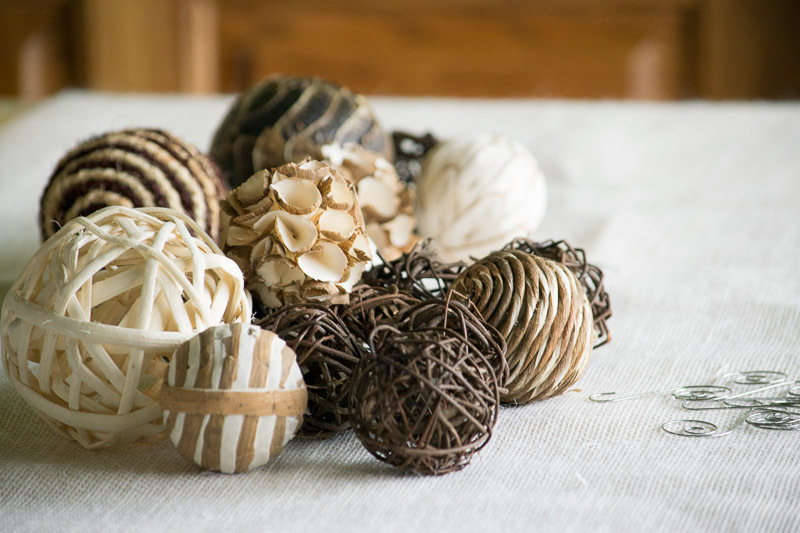 UM, they are an even better version of the twine balls AND they take me NO TIME to make! Picked up a package of pretty little ornament hangers and we are in business!! This has taken no more than 5 minutes of my time and that is money to me! 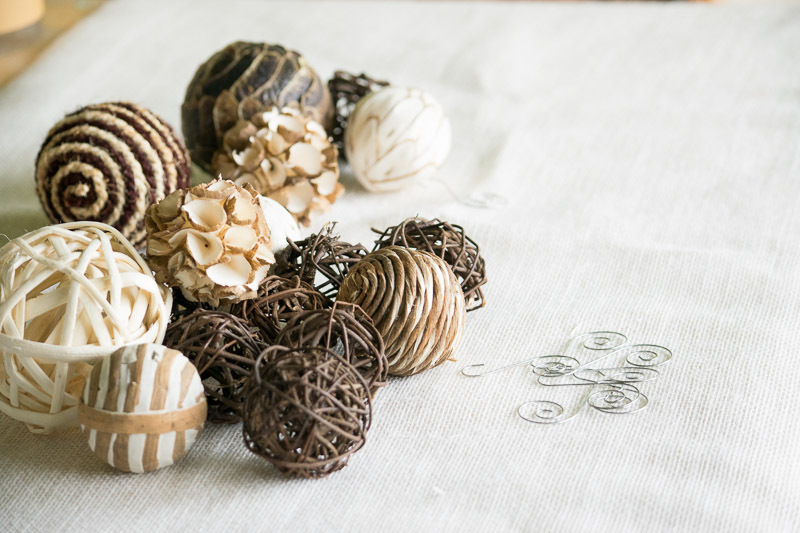 Watch for an upcoming post that shows how I decorate my tree with all my fun projects. $10.97 – Only 5 Minutes of my time! Muah!